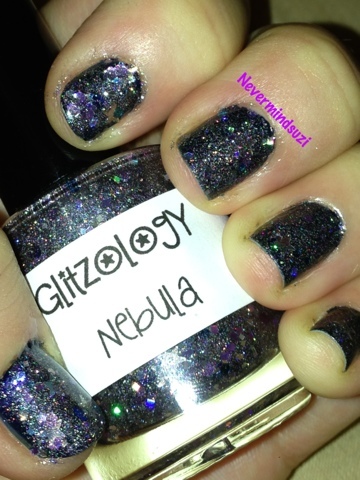 Today I'm showing you Glitzology - Nebula. 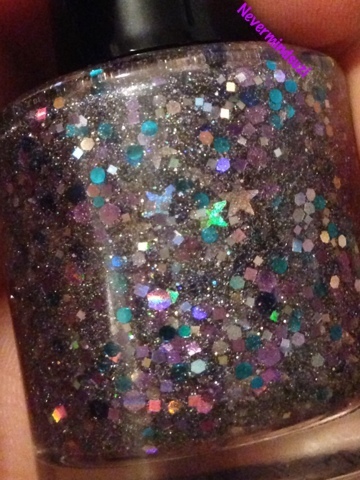 I have put 2 coats of Nebula over 2 coats of Nails Inc Windsor (from the Royal Collection released April 2011 for the Royal Wedding). A clear base, packed to the brim with shimmer! blues, purples, greys, silvers, all jammed in there! Add to that square and hex glitters AND once more silver stars. 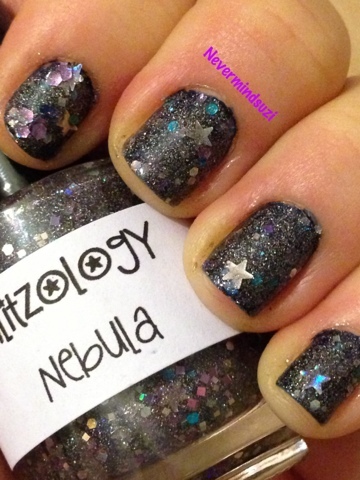 This is a polish made in heaven! 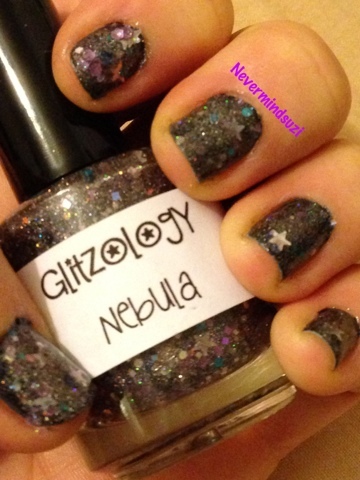 Check out all the galaxy glittery goodness! !